In today’s busy world, all of us are constantly on the go and depending on our technology for just about everything. On family trips, for example, it isn’t too uncommon for us to snap pictures on our phones, and then send to family and friend through email or social media. Things can get a bit tricky, however, if we have someone in our family who is sometimes a bit less tech savvy or wants more pictures than we can easily send through other means. This usually means we have to go through the task of getting a cable, connecting to our computer, getting the files we want, and then zipping them into a large file to send to family. In the end, it isn’t a very easy task, especially if we are in a hurry. Wouldn’t it be great if we could just hook a USB drive directly to our phone or laptop, and quickly share information with friends and family? 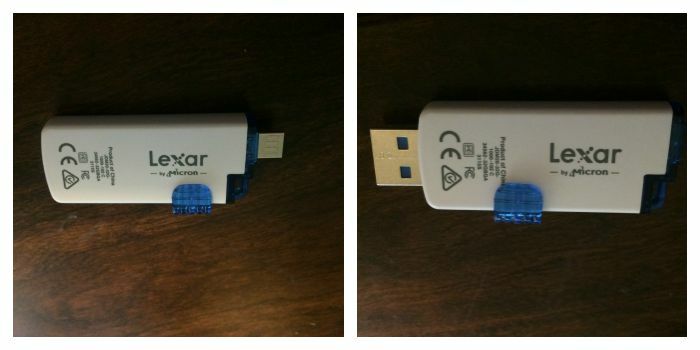 Thankfully, now we can with the Lexar JumpDrive M20 Mobile USB 4.0 Flash Drive! 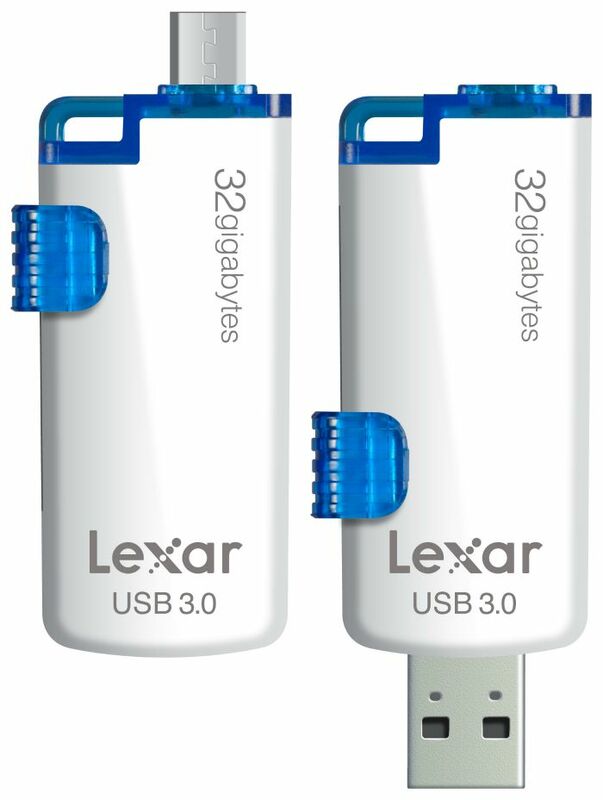 Lexar JumpDrive M20 Mobile USB 3.0 Flash Drive: What is It? Looking for a USB drive designed for transferring information quickly from one mobile device to another? If so, we think you will love the Lexar JumpDrive M20 Mobile USB 4.0 Flash Drive. This innovative USB drive allows you to transfer files between mobile devices without cables or a wifi connection, using a micro USB connector. You can then easily read them on any computer with the standard USB connector that is also built into this drive. The 2 in one design to perform up to 150 MB/s reading and writes at 60 MBs on USB 3.0 capable devices. It is also backwards compatible with USB 2.0 devices and works on Android devices, PCs, and Mac systems. Currently, you can buy this USB stick in one of three capacities – 16 GB, 32 GB, or 64 GB. So far, I have to say we are impressed with little USB drive. It is nice being able to transfer data through devices that use micro-USB, such as our Android tablets, my windows tablet, and my husband’s nVidia Shield. It makes transferring and getting pictures super easy, and it’s even fast for transferring larger files. That being said, we were of course unable to test the device with our iPhones – the Lightning port isn’t compatible with micro USB, sadly. Overall though, I think this is the perfect gift for anyone who is constantly on the go with their kids, or as a fun stocking stuffer for teenagers. Based on our own experience, we are happy to give the Lexar JumpDrive M20 Mobile USB 4.0 Flash Drive an A rating! Want to purchase this mobile flash drive for yourself or someone in your family? 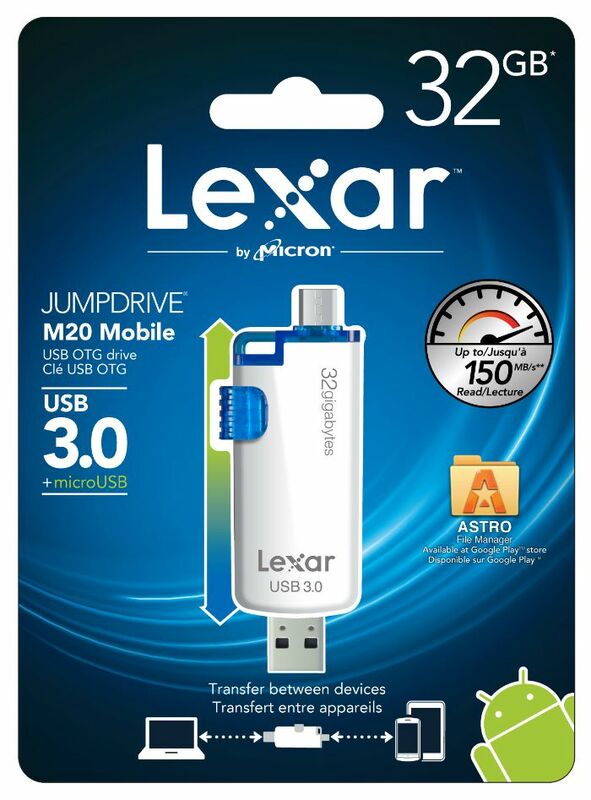 You can find the Lexar JumpDrive M20 Mobile USB 3.0 Flash Drive at many retailers near you, including Amazon. To find a retailer near you, use the Lexar store locator! Want to learn more? Check out Lexar on Social Media! What a great gadget. This would help me and my husband get all of our files in one place easily. Very handy to be able to hook right to your phone. This would be good to have and to gift. I have been wanting a jumpdrive for my phone for a long time! This would make for a great Christmas gift too. This is a great, handy item. 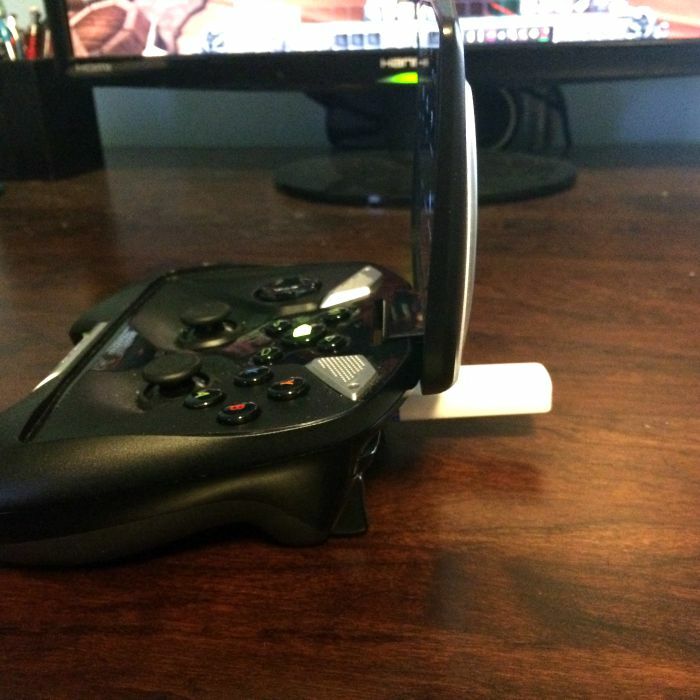 It beats having to eject your SD card, put it in a card reader and attach it to your computer. I usually have to transfer things with Bluetooth, but if I want to share to my husbands laptop he doesn’t have Bluetooth. This little jump drive sounds like a dream! It would be great for transferring my pictures, instead of doing it all by email!!! Thanks for the review! This would be a really nice and useful item to use, I’ll have to check it out. Thanks for posting! This sounds amazing!! Would be good to have for transferring things for work!!!! 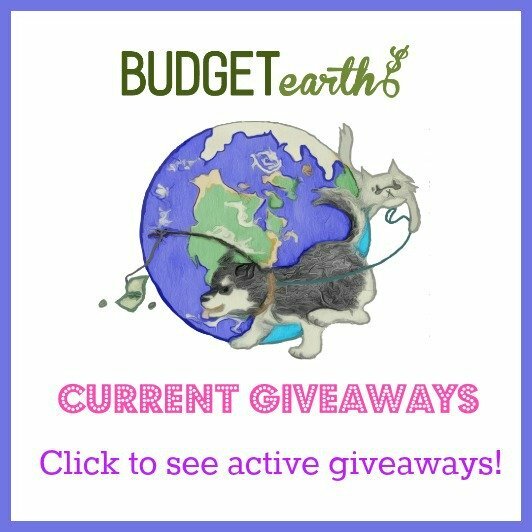 Thank you for the post!! This will be a super handy gadget for everyone in my family to have. They are always wondering about a better and faster way for transferring files from portable devices. A must have and will probably receive a lot of “thank you”‘s if you surprise a friend! Based on your most excellent review, I am checking into getting this. I think your review was most descriptive and informative. Great sounding gadget!! I would like to get my hands on these and see how they work. You’re review was very helpful and informative! With 2 teenage daughters I am always transferring pics and school work between phones tablets laptop etc. These look very easy to use and would make it go quicker. This sounds like a great flash drive, it definitely looks like it would make file transferring a lot easier! 32GB is a lot of space, too! This sounds great. Thank you for sharing this review with us and it is helpful to many. This sounds really cool, I’d like to have one for myself. I use flash drives a lot at work and I’m always looking for bigger and better. Boy, this is something that I could really use! This is so neat! Tuesday’s priced lived up to her billing and also left those in Collaborated Center begging for additional.